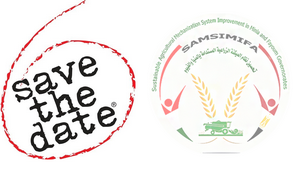 International Open Tender N° 1/IOT/2017 for the Supply of Agricultural machines 1/A for the project named Sustainable Agricultural Mechanization System Improvement in Minia and Fayoum Governorates – SAMSIMIFA – Egypt. In any case, as condition to the participation, on the info day the attendees shall show up a letter of delegation, stamped and signed by the legal representatives of the companies. The Contracting Authority shall receive the communication at least 10 days before the dates of the meeting. All the information shared with the Contracting Authority by the interested tenderers for the organization of the info day will be treated as confidential. The information session is strongly advised.